Size : 7.7 x 5.0 inches. / 19.6 x 12.7 cm. 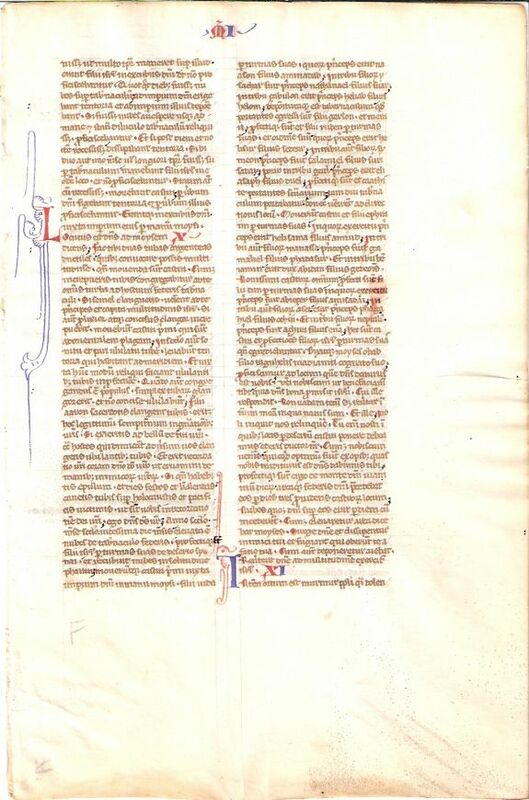 Description :13th Century vellum leaf from a French Bible. L on left in red.